As part of the project Facing: The Stories of Others (an exploration of nations from the "outside-in") curated by Catherine Sicot and supported in large part by the New Chapter Program (Canada Council for the Arts), Elegoa Cultural Productions has partnered with Hors Pistes (Centre Pompidou) to participate in a dialogue in Paris that will include curator Wanda Nanibush (Canada), artist Luis Manuel Otero Alcántara (Cuba) and art historian Yanelys Nuñez Leyva (Cuba). 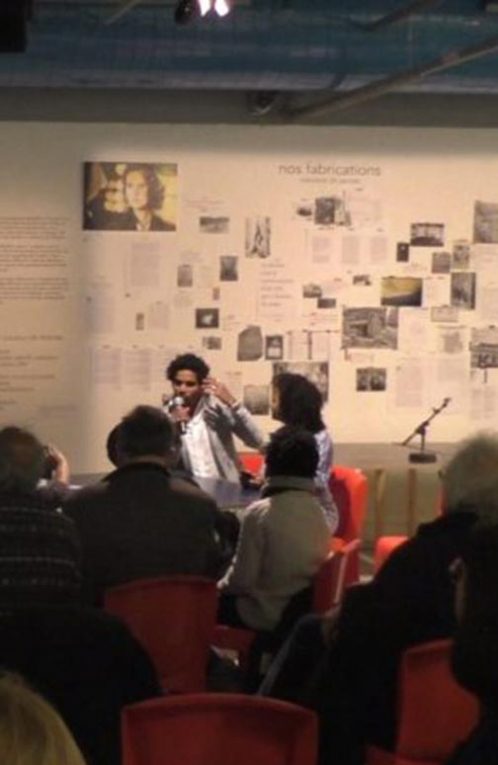 This year, the 13th edition of Hors Pistes will focus on “The nation and its fictions”. For a 15-day period, the novel framework within the Forum-1 space will welcome various audiences as well as historians, philosophers, anthropologists, writers, cartographers and artists to explore other ways to conceive of the idea of nation, through encounters aiming to articulate other ways of "naming" the nation (one’s own or other nations), and the ways in which one can invent para and/or extra nations. It will also provide the opportunity to question other conceptions of nationhood, whether it be First Nations or archipelagos, in order to identify common forms of belonging as well as exclusion. Thus collected, these various perspectives will form a new narrative, both open and collective, which will gradually fit into the framework conceived for Forum-1. The Hors Pistes Program is developed under the direction of Géraldine Gomez. 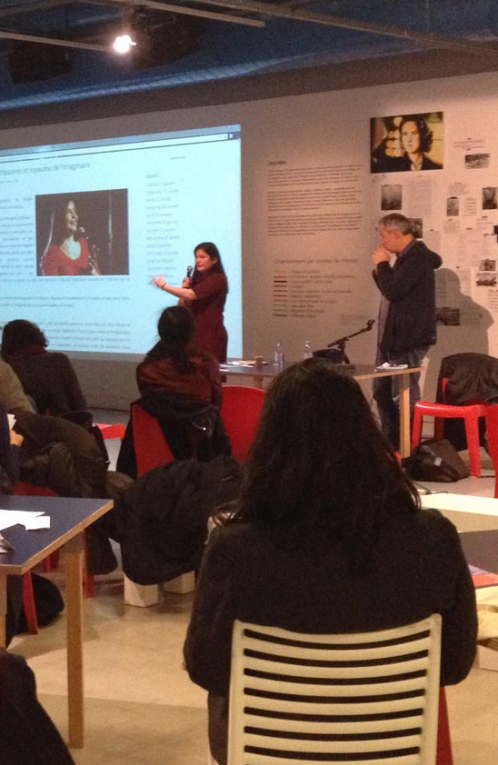 For this year’s edition, Gomez collaborated with philosopher and dramaturge Camille Louis. 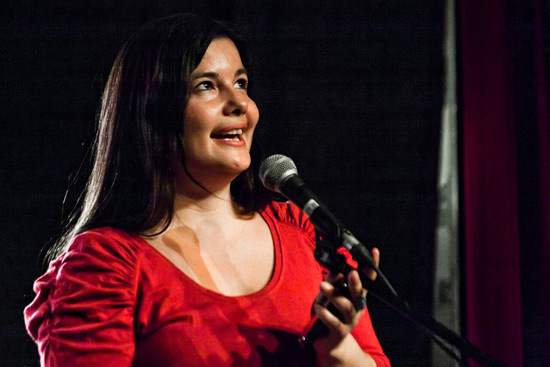 Catherine Sicot was invited to include Canadian and Cuban participations. Photo of Luis Manuel Otero Alcántara and Yanelys Nuñez Leyva by Hannah Berkeley Cohen for the New York Times. 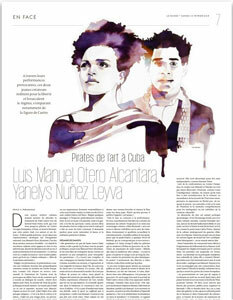 Otro tratado de Paris stages the dream of two young Cubans, Yanelys Nuñez Leyva and Luis Manuel Otero Alcántara: to witness the reconciliation of their nation. 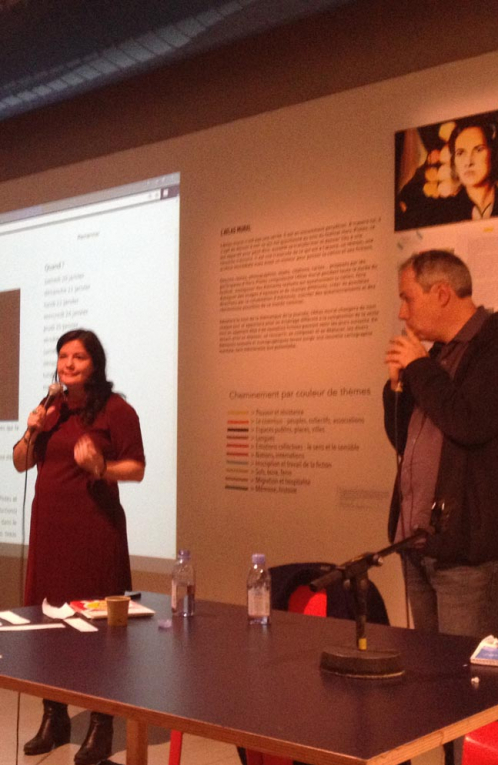 The project combines sound performance and audience participation, both at the Centre Pompidou and via social media. Luis Manuel Otero Alcántara: “As the one-year anniversary of Fidel Castro’s death approaches, the leader of the Revolution appeared to me in a dream to inform me that in his final days, he had secretly written a will. That night, he gave me the mission of going to the place where it was hidden. He predicted that I would make it public at an important international event, and that despite the many obstacles that would stand in the way, the presentation would finally be made. He gave me instructions on what the process should be: preferably, I had to use a digital medium, because this needed to be massive; and I had to invite all Cubans to listen to his last words - those inside and those outside Cuba, those who loved him and those who hated him. He trusted me with this mission, because according to him, I was an ordinary Cuban who understood this historic moment, I was free from all extremist hatred, and no matter what the cost may be, I believed in a prosperous future for Cuba”. 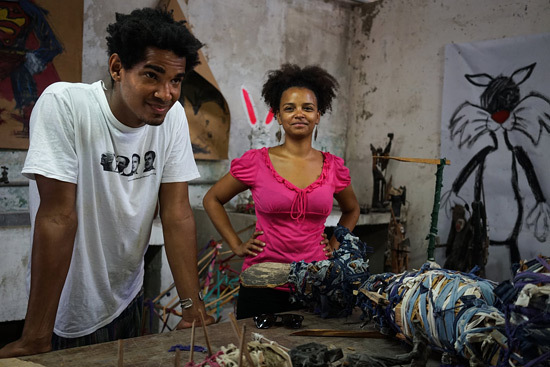 Yanelys Nuñez Leyva and Luis Manuel Otero Alcántara live in Havana, work in the public sphere and the public space through performances, installations and web-based projects. In 2016, they opened a virtual museum, El Museo de la Dissidencia en Cuba; in 2018, they will launch #00Bienal, the first independent contemporary art biennale in Havana. Alex Condis (project communication from Cuba). Pirates de l'art à Cuba, by Paulo Paranagua. The Anishinaabe people (Ojibway/ Chippewa) conceive of sovereignty and belonging to a nation beyond the notions of nation-state and nationalism, and strive for equality through differences rather than uniformity. What is a nation that defines truth as the knowledge of the heart? A nation that values nature ahead of humans? Wanda Nanibush shares the stories that have shaped her. Born in the Beausoleil First Nation reserve, Wanda currently lives in Toronto, where she was recently named Curator of Indigenous Art at the Art Gallery of Ontario. 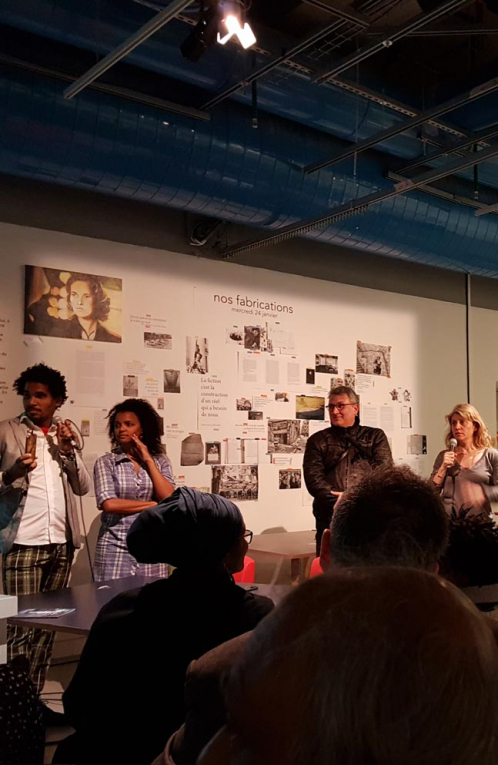 Otro Tratado de Paris and Storied beings and Kingdom of imaginations were co-commissioned and co-produced by Hors Pistes and Elegoa Cultural Productions (Toronto). 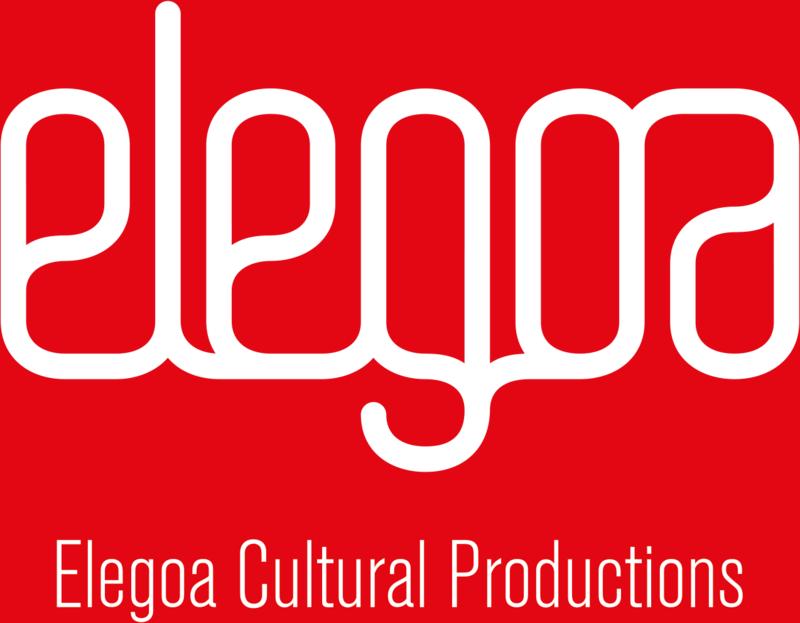 For these projects, Catherine Sicot (Elegoa Cultural Productions) received the support of the New Chapter program (Canada Council for the Arts) and of Michael and Amira Dan. Our thanks go to the French Consulate in Toronto and Mercer Union for their contributions to the research.